I often speak to business audiences about Innovation—the collaboration necessary, general cultural differences that can influence the process and the importance that organizational culture has on creating an environment that supports innovation. After these keynote addresses delegates talk to me and relate how their own organizational challenges. It is not the generating of ideas that creates a barrier to innovation. Rather it is that the organization does not permit the time required to move these ideas from vision to reality. They are not given the time that is really required to explore their ideas through an innovation process. This makes it difficult, if not impossible, for true innovation to happen. Executives often ask themselves, “Why aren’t we better at innovation?” There are lots of examples out there and lots of advice. But in reality, innovation challenges differ from one organization to another. Just as each innovation is unique, so is an organization’s culture. The process of innovation that works in one place will not necessarily work in another. We must consider the culture. A recent IBM Global CEO study cited an “unsupportive culture” as the number one obstacle to innovation. Organizations that have a culture which supports innovation are often customer focussed, value-driven and strategic. They ensure that their operating strategies are developed through interactions with their employees, customers, partners, vendors, suppliers and consultants. They review market trends and identify, through benchmarking, what is required to out-perform their competition. Such organizations further demonstrate their commitment to innovation when they build innovation into performance management. They measure management’s performance on the basis of their ability to create new value-added products, services and ideas. As well, they assess the extent to which managers undertake this jointly with staff, rather than independent of their staff, because this demonstrates a clearer understanding of the use of an innovation process versus simply the result of management directives. 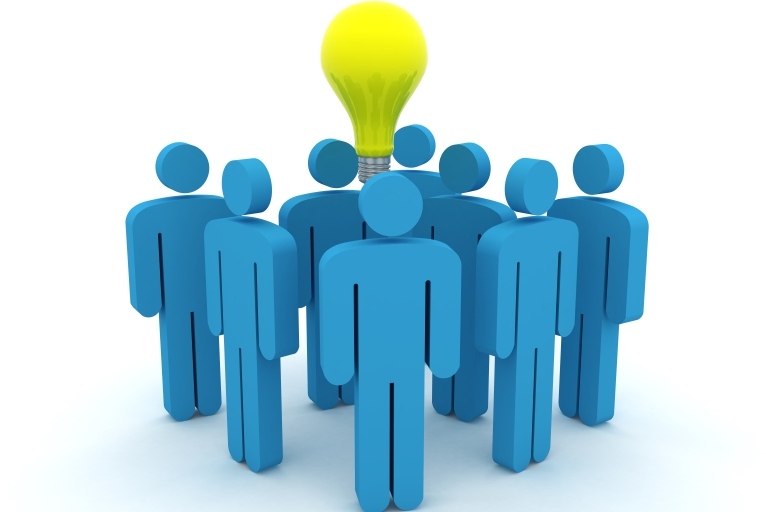 Managers that demonstrate a commitment to innovation ensure there is a focus on exploring new ideas at their regular department meetings. They train employees in the innovation process. They allow time for employees to explore their ideas. They apply an aggressive effort to build new opportunities based on the development of new services, products, structures, processes, etc. Innovation creates change. It creates new knowledge, methods, implementations, and paradigms. It helps to develop new products serving new customers in new markets, competing more effectively and gaining new revenues. Innovation helps all levels of staff to cope through increased knowledge including: technical, economic, competitive, environmental, political, and social. It helps them to manage within their global framework. Innovation leads change in so far as it is the process by which new directions are set, new ideas are created, and possibilities are turned into reality. Innovation prepares for change. If you are ready to expand locally or globally it presents the process by which these ideas become possibilities. A recent study by the Harris Group indicated that Executives found that a culture of innovation is crucial to not only growing their business and profitability but also for attracting and keeping talent. Many organizations reach for it. They don’t really know what it is. And they fail. All for the same reasons – no time spent building the strategy, the culture and the process for innovation. Why Spend Time Building a Culture of Innovation? Many organizations today know that they must become more innovative in order to survive and grow. No longer can we look to the past to predict the future. No longer can we improve our products and services and expect this to be true innovation. We must re-think and re-invent what it is that we are doing and want to do. We need to identify what our products and services will be in order to manage in the future economy. In 1900 there were approximately 100 million people in the United States. 30 million of these worked on farms. In 2000 there were approximately 300 million people in the United States. Only 5 million worked on farms. Industry displacement has been going on for over a century. Don’t hold onto the past. Honour it but move on. In our organizations we must stop doing that which is not driving the organization forward and that which is not meeting all of our customer’s expectations. Organizations that focus on short-term, bottom-line oriented thinking create pressures on management and staff that diminish the focus on the long-term innovation process. Rather, it increases the focus on sustaining existing products and services. This constant examination of quarter by quarter results vs. longer-term planning creates a culture that is not supportive of innovation. Today, organizations need strong, committed leaders to create an environment that supports innovation and drives it forward. They will accept risk. A risk-aversive corporate culture is seen in many research studies as the number one killer of innovation. Short-term goals, particularly quarterly numbers, create an environment where the longer-term actions necessary to drive innovation are squashed. Employees tend to avoid innovations that require longer-term thinking; rather, they develop innovations around ideas that help to meet the shorter term results management is seeking. This results in an increased focus on sustaining existing products and services rather than creating new ones. As well, an organization that has a strong culture of innovation will also recognize the need to engage all employees in a process of innovation. The Boston Consulting Group, McKinsey & Company and Booz Allen Hamilton completed studies, in 2007, on Innovation. On the positive side the results indicated that it remains a high priority for most corporate leaders around the world. They recognize it as a key growth driver. Unfortunately, they also found that there is a broad belief that most organizations don’t have the leadership, systems, or tools to successfully and consistently innovate. As well, they found no statistically significant connection between the amount of money an organization spent on innovation and its financial performance. Organizations that have a culture of innovation will measure management’s performance based on their ability to create new value-added products, services and ideas. As well, the extent to which they do this with staff rather than independent of their staff, demonstrates a clearer understanding of the use of an innovation process vs. management directive. This can be demonstrated in their regular department meetings. To what extent are these focused on exploring new ideas? How many of their staff are genuinely interested in (and willing to pursue) new ideas? Are they trained to understand the innovation process? Is there an aggressive effort in the organization to build new opportunities based on the development of new services and products? Innovative cultures permit all levels of staff to try new things. A barrier to realizing this can be found in cultures which insist on a requirement for compliance in every dimension. Individuals who do experiment are often punished – especially if they fail. Other elements to consider in re-shaping your culture is to ensure your organization is customer focused, value-driven and strategic. Ensure that your operating strategies are developed through interactions with your employees, customers, partners, vendors, suppliers and consultants. Review market trends and identify, through benchmarking, what is required to out-perform their competition. Customers will help you to develop innovations. When combined with benchmarking it can lead to dramatic innovation. But your future growth may not have anything to do with what your customer tells you today. For example; the PC was not a customer vision. Customers wanted a faster mainframe (IBM), not a PC. If Ford asked his customers, they would have wanted a faster horse – not a car. Helping your organization to achieve more innovations requires you to spend time re-shaping your culture to support innovative thinking. It is a major undertaking. Start by examining your current culture and determining what changes are required to foster and support innovation. You have to want to make a difference. Lead your organization through this journey of change. I have led others through this journey and you can too!